The security of your business or home is paramount to your peace of mind and safety. We specialize in the installation and repair of high-security grade 1 locks as well as a full range of lock services for your home, business or vehicle. We are Georgetown Locksmith Pros and we are your most trusted local company! Whether you have experienced a break-in or just want to beef up your security, our team of experienced professionals will determine which services are right for you. We will examine your current security measures, determine weaknesses and make recommendations according to your budget and needs. Our technicians are knowledgeable about the latest and most advanced systems, so you can be sure you are getting the best protection possible. 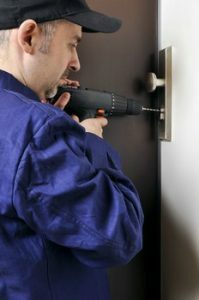 In addition to installing new security measures, we also repair damage caused by break-ins. We can easily change locks and produce new and duplicate keys for you as well. Whatever your needs, you can count on our advice and expertise, knowing you are getting the best from experienced technicians. Our team of locksmith professionals is dedicated to providing the highest level of care possible. We pride ourselves on our honesty and dependability. As a 24-hour company, we will respond to your call in 30 minutes or less. 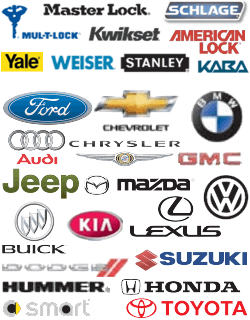 We offer up-front pricing with honest evaluations of your needs. Your security is our top priority, and we are committed to promptly delivering professional service. Our professionals stay current in the latest methods and technology. When you need a local locksmith, look to us for the best locksmith services in Georgetown Texas. A mobile locksmith conveniently comes right to you and can answer all of your questions honestly and accurately. And, you can rest easy knowing that we are licensed, bonded and insured. They utilize advanced technology and are best installed by skilled professionals. Every commercial should have them, and people often choose them for maximum residential security as well. Whether you need a commercial or residential locksmith, we are experts in the installation of these highly advanced mechanisms. Having the best level of protection possible provides you with the ultimate sense of security. Nothing is more important than keeping your loved ones safe and sound, as well as your valuables and your property. A break-in is one of the worst violations imaginable and can leave you feeling traumatized and disoriented. The best time to use our services is before a burglary takes place. We can ensure that your property is safe from criminals. If you have already experienced a break-in, however, the first thing you should do is contact the Georgetown Police Department. Then, you can contact us for immediate assistance. Our emergency services are available anytime day or night to help you feel safe again as quickly as possible. And we guarantee 30 minute or less response times so you will never have to wait long. Call us today, and we will be happy to meet with and discuss your options. Trust the experts at Georgetown Locksmith Pros to keep you safe and handle expert services for your high-tech grade 1 locks. High-Security Grade 1 Locks https://georgetown-locksmith.co/lock-services/high-security-grade-1-locks/ 3.8/5 based upon 5 reviews.